I have just over one month left of my year as a mediaevalist, before taking up my new post as Assistant Professor of Latin Literature at UBC in Vancouver. I thought I’d write some blog posts reflecting on this year of mediaeval adventures in Durham as I transition back to Classics and the teaching of Horace, Ovid, Ausonius, Virgil, Lucan, Theocritus (and so forth). One of the articles I wrote this year was about canon law education before Gratian. Gratian, about whom I’ve blogged before, published, around 1140, what would become the standard textbook for canon law for the rest of the High and Late Middle Ages. Before this, canon law was not really a subject on its own. The cathedral schools and fledgling associations of teachers (masters) called uniuersitates would have touched this material, if at all, as part of training in theology. Of course, people knew the canons of the church. This is most easily demonstrable in the works of canonists such as Ivo of Chartres (Bishop of Chartres, 1090-1115) or Burchard of Worms (Bishop of Worms, 1000-1025). However, the writings of other bishops also demonstrate an intimate knowledge of church canons and the theology underpinning them. For example, Anselm of Canterbury (Archbp of Canterbury, 1093-1109) demonstrates in his letters a similar use and knowledge of canon law as Ivo in his own letters. The question arises, how does someone like Anselm or his contemporary, William of St-Calais (Bishop of Durham, 1080-1096), gain his knowledge of canon law in an age before it was being taught as a separate discipline? The answer: They read books. The case of William of St-Calais has been demonstrated very well by Mark Philpott, who compared William’s copy of the canon law collection Collectio Lanfranci with Simeon of Durham’s De iniusta vexacione, an account of William’s treatment by King William II ‘Rufus’. Philpott shows that every time Bishop William refers to the canons of the church at the king’s court at Old Sarum in 1088, there are marginal notes in his copy of Collectio Lanfranci. So the question of how do you learn canon law before Gratian — or even, in many cases, after Gratian — moves our study of education from the classroom to the reading stall. It also takes our study of manuscripts from texts and scribes to readers and marginalia. 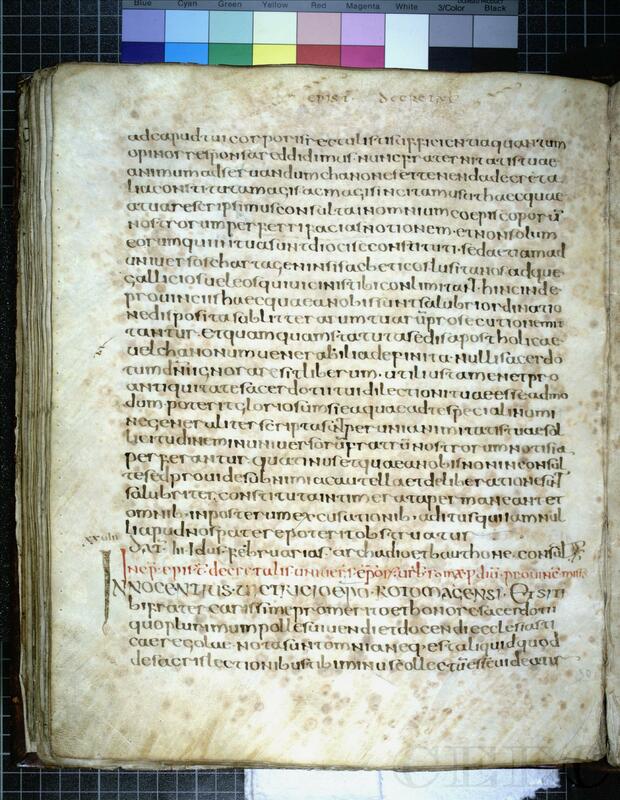 As a classicist, I have generally been interested in manuscripts as repositories of texts which can serve as a pathway or a window into the past, leading us back to something similar to an author’s ipsissima verba. As a medievalist, I have considered them in the other direction: How would a reader of this manuscript be influenced by the text? For example, Durham Cathedral Library B.IV.17 is an early twelfth-century copy of the Decretum of Burchard of Worms. Among the elements of note are marginalia in pencil next to certain of the canons, revealing to us the interests of one of the readers. I noticed that a lot of these markings were towards the beginning, where Burchard deals with the right (or wrong!) behaviour of bishops, and I couldn’t help but think about some of Durham’s bishops who likely transgressed the canons presented here, or about the literal episcopal civil war between William of Ste-Barbe and William Comin in the 1140s, or, later, the disputes between the monks of the cathedral and bishop Antony Bek. Another feature of this book is the underlining in black ink of the sources of authority in canon law. Here we see, then, a reinforcing of the authority of certain church fathers and of popes in matters of church regulation. Any reader of this manuscript after the penciller will have noticed these markings, too, and will have had his reading of Burchard transformed as a result. Many of these same features are also visible in the six Gratian manuscripts I studied this year, except that all the Gratian manuscripts are heavily glossed. Thus, regardless of what someone might have thought about the canons of the church as organised and harmonised by Gratian, that person’s reading of church law will be shifted and transformed by the glosses, automatically interpreted by the glossator. And the reader can add more glosses himself — some of them did. Another aspect of reading a manuscript is the layout. You can see how these books could have been useful. Burchard and Gratian both lay out their texts with red headings and subheadings (ruber = red, hence rubric). 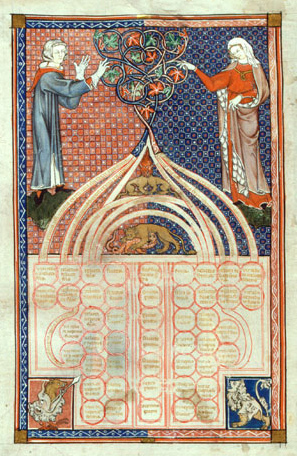 New chapters or books might have a massive historiated initial to signal their existence. Running headings across the top also assist in the navigation of these high mediaeval books. This is not easy to navigate, I can assure you! The rubric at the bottom is almost all you get in Coloniensis. Most new items get uncial incipits in the same colour rather than a rubricated heading. It can be a real pain! There is much more to be said about the reader’s experience in the Middle Ages, but it is an important approach to manuscripts, one worthy of consideration (and I know other scholars work on it!). And one that is useful for classics as well! Check out Ivo’s works here. 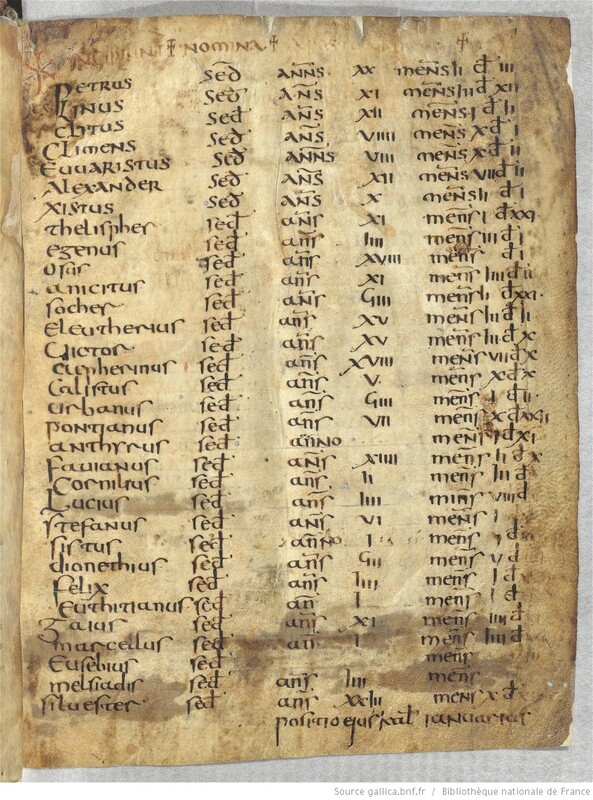 Cologne’s digitised manuscripts: Codices Electronicae Ecclesiae Coloniensis. Mark Philpott, ‘”In primis … omnis humanae prudentiae inscius et expers putaretur”: St Anselm’s Knowledge of Canon Law’, in D. E. Luscombe and G. R. Evans, eds, Anselm: Aosta, Bec and Canterbury (Sheffield, 1996), 94-105. —. ‘The De iniusta vexacione Willelmi episcopi primi and Canon Law in Anglo-Norman Durham’, in David Rollason, Margaret Harvey, and Michael Prestwich, eds, Anglo-Norman Durham 1093-1193 (Woodbridge, 1994), 125-137. 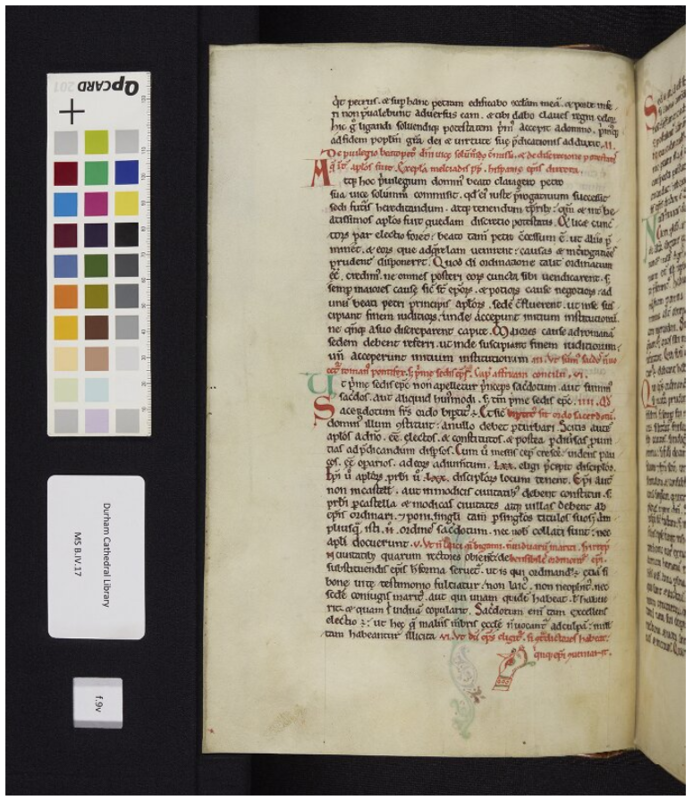 This entry was posted in Books, Christianity, History, Mediaeval and tagged anselm of canterbury, burchard of worms, collectio coloniensis, durham cathedral library, durham priory library recreated, gratian, manuscripts, mark philpott, william of st calais on July 19, 2018 by MJH.